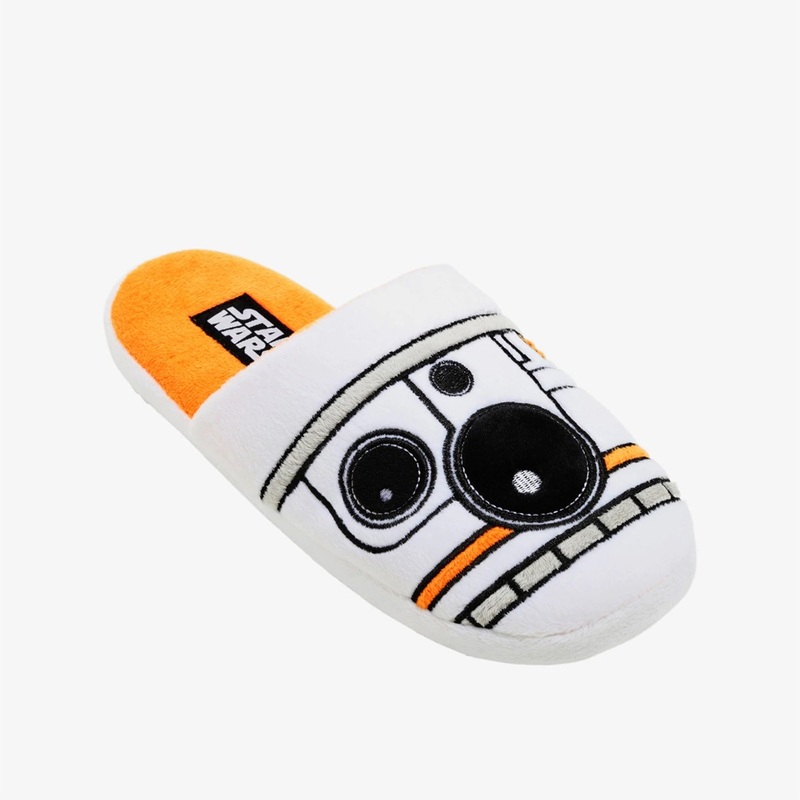 Get cozy with these cute Star Wars BB-8 slippers! 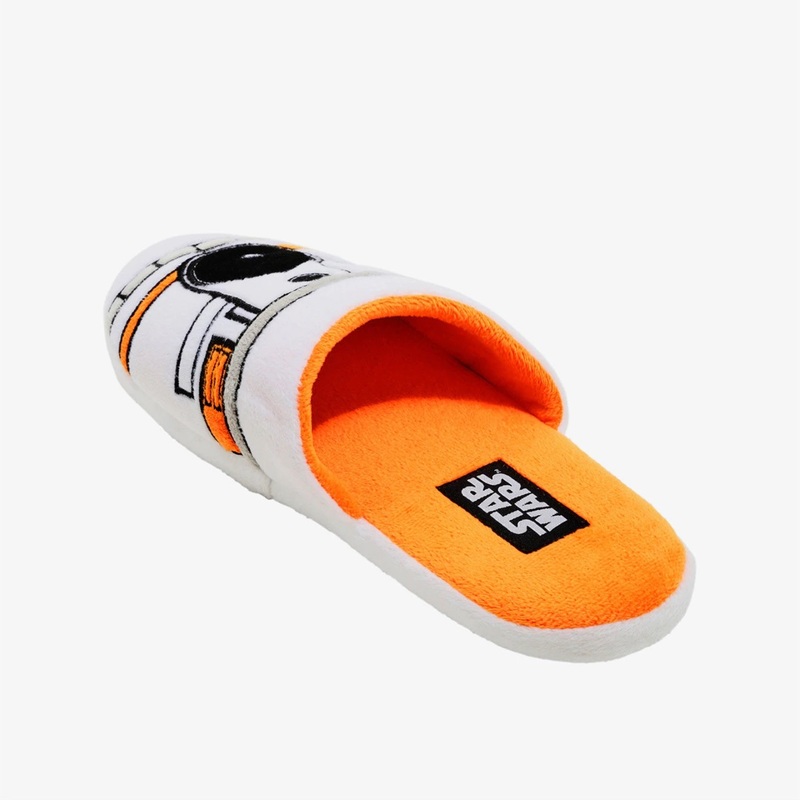 Available at Box Lunch, the soft plush slippers feature a white and orange coloured design inspired by BB-8, accented with applique’ and embroidered details. Happy beeps. 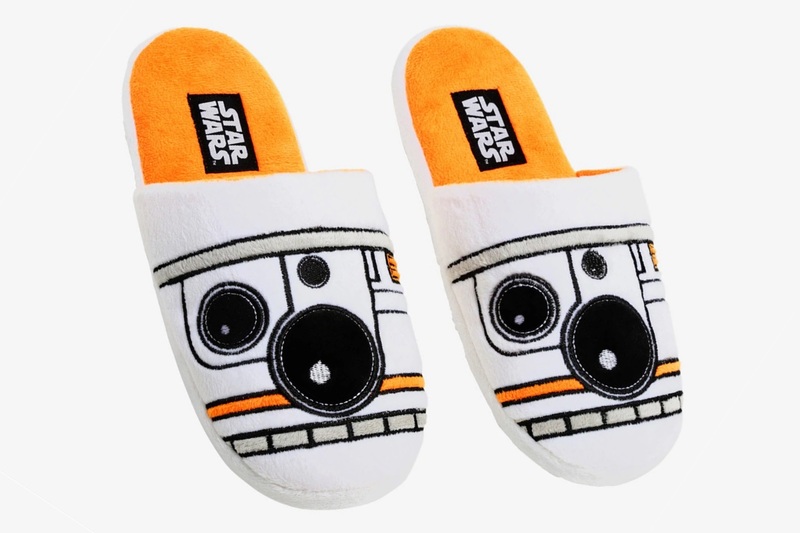 Happy comfortable beeps. 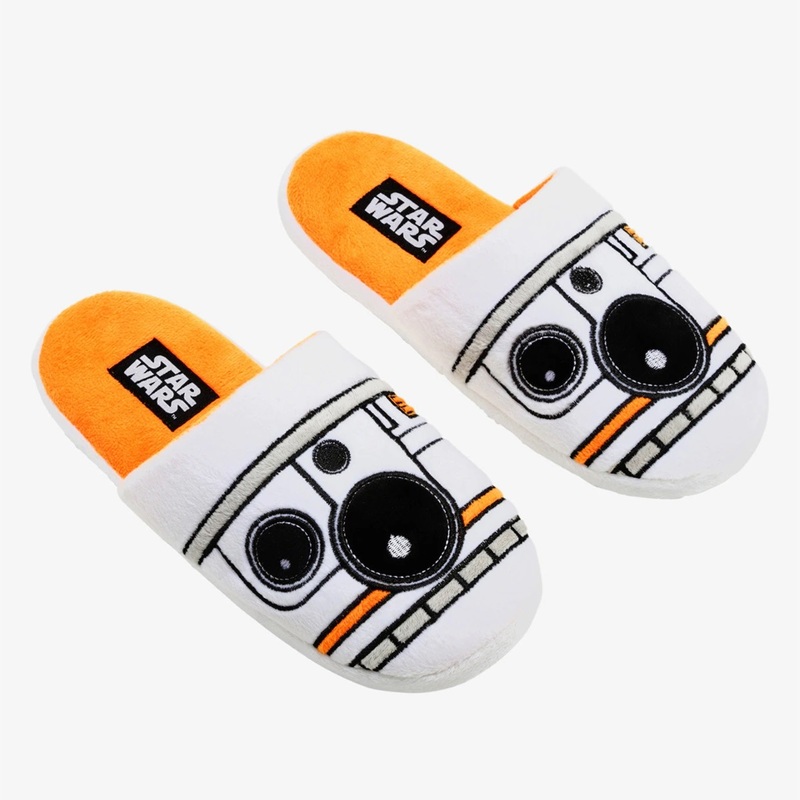 These slippers feature an adorable BB-8 design. 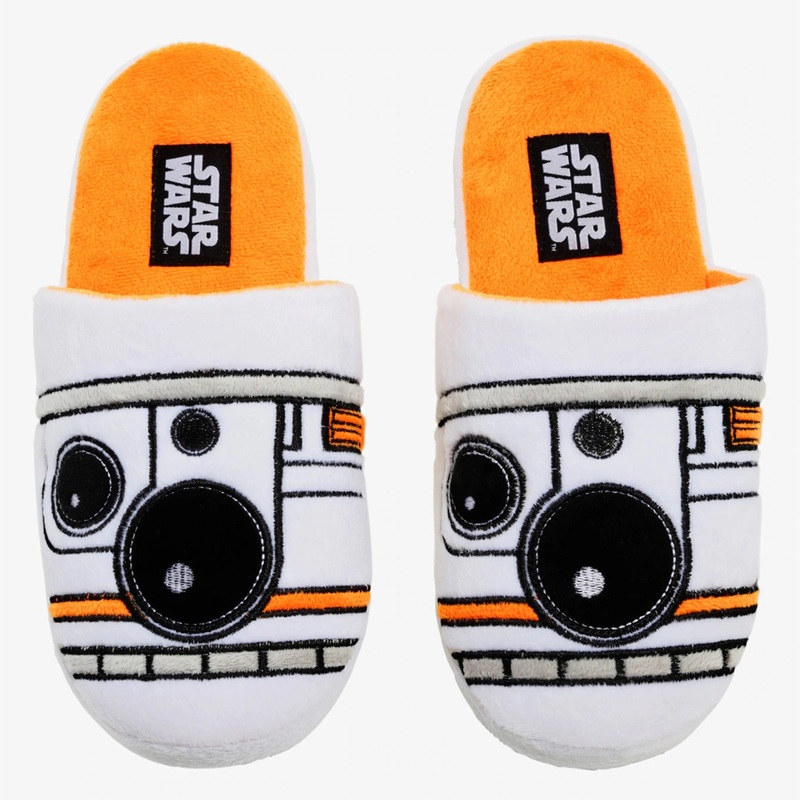 Available in sizes S to XL, the slippers are priced at US$24.90 per pair – Box Lunch can ship internationally.